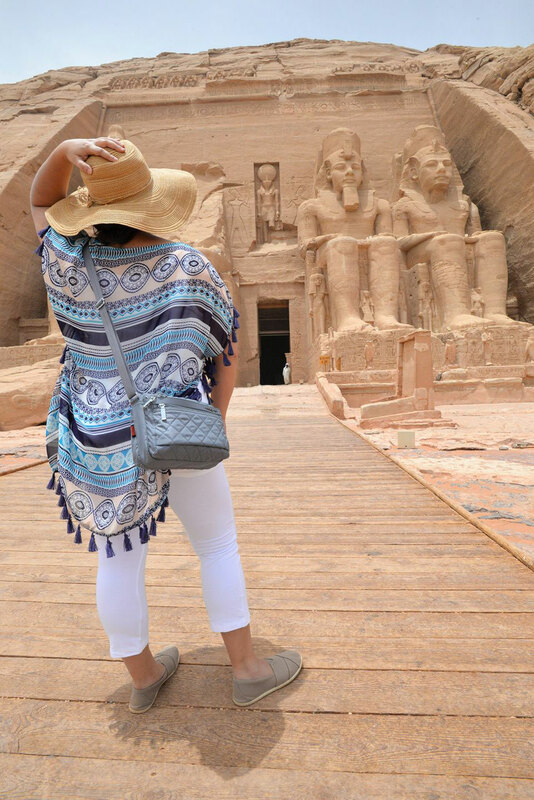 Fresh back from our whirlwind 16-day tour of Egypt and we’re still reeling! We learned that, with some advanced planning, it’s possible to see most of the country’s highlights in just two weeks. OR you can opt for the easier, more relaxed route and book a guided tour with a provider like Lady Egypt and their Egyptian Legacy Tour. While we’re not typically fond of guided tours, we *highly* recommend going with them, especially if you’ve never been to the country. 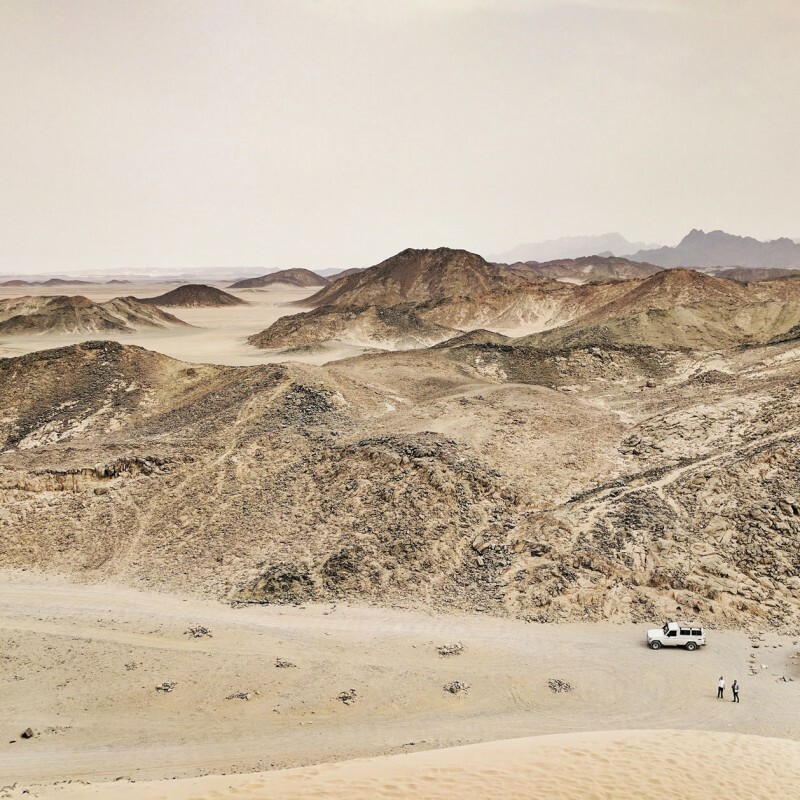 Egypt is wild, rugged, and frenetic — all good things in our opinion. But, it can make independent trip planning a bit complicated. We’re not talking “off the beaten path” travel here. 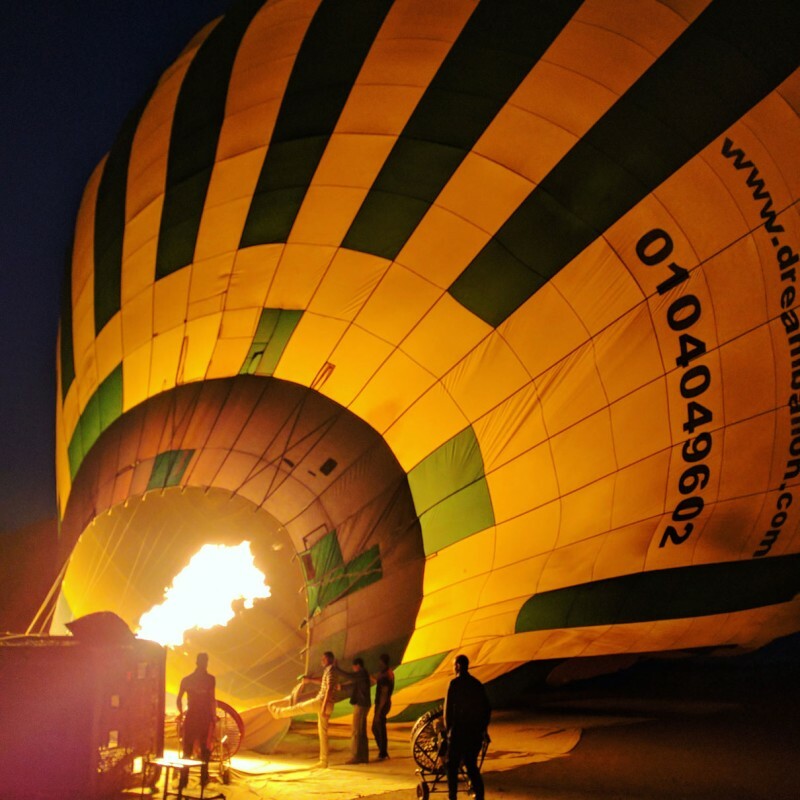 Instead, ours was a guided tour geared toward first-timers looking to explore the highlights — all the best things to do in Egypt. Cairo is manic, congested, loud, dirty, amazing, and crazy fun. If you’re arriving by plane, it only makes sense to allow for a few days to explore the city before jetting off to the rest of Egypt. To fully appreciate the breadth and sprawl of Cairo, you need to get above it. And the best place to do that is to see it from atop the viewing platform inside The Citadel. 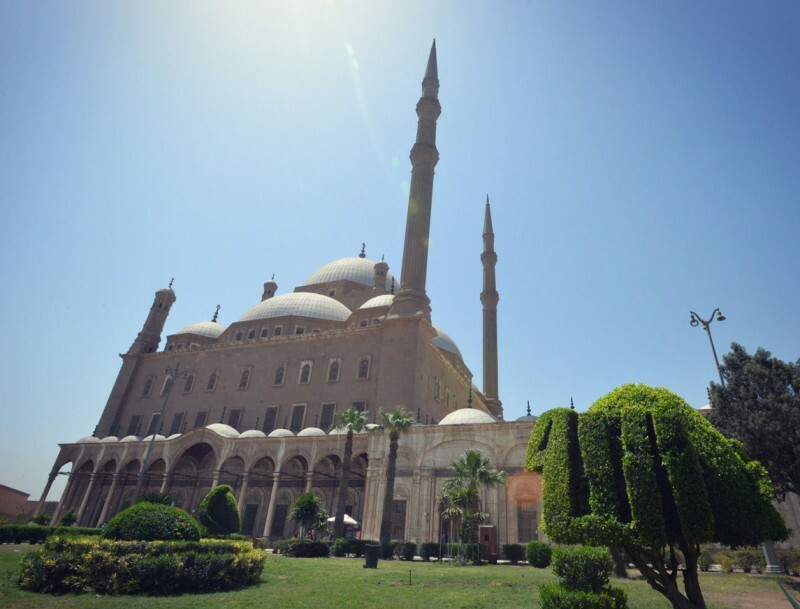 The Great Mosque of Muhammad Ali Pasha (also known as Alabaster Mosque) at the peak of the Citadel of Cairo is among the most sacred, beautiful, and important in all of Egypt. The ornate trimmings in the foreground bush spell out “Allah” in Arabic. The inside of the Alabaster Mosque is every bit as stunning as the exterior. 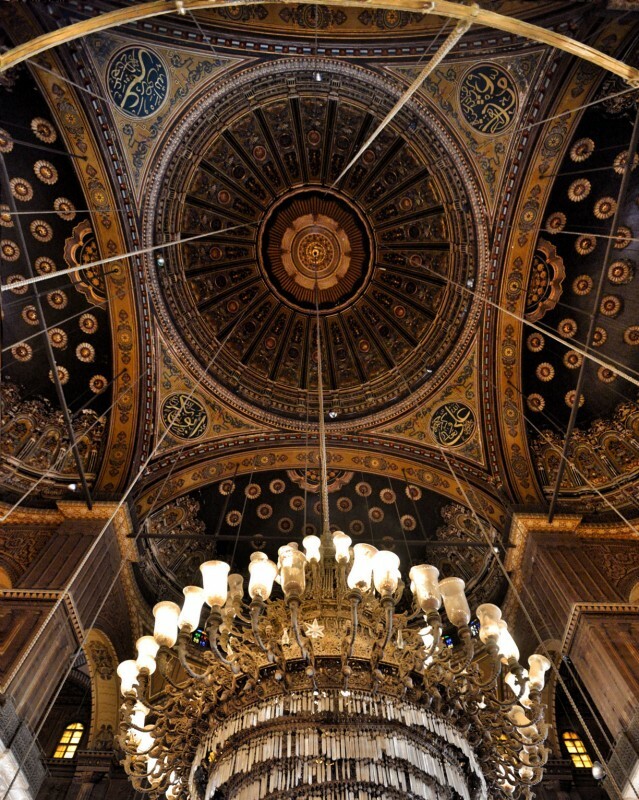 Be sure to look up from the center of the mosque — the ceiling is amazing. The complex at Giza — including the Great Sphinx and the three pyramids — needs no introduction or caption. It’s hands-down Egypt’s most iconic site. It’s just as awe-inspiring in person as your high school history books promised. 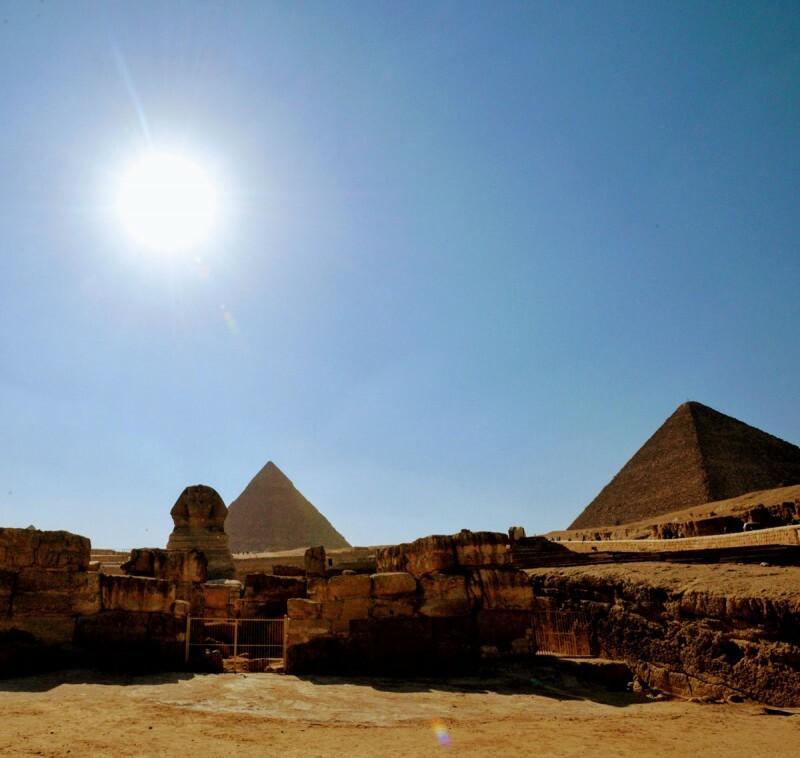 The Great Pyramid of Giza is the oldest and largest of the three ancient pyramids within the Giza Complex. While most photos show the view from afar, we couldn’t help but marvel at the size, scale, and intricacy of the stonework while standing right up close to it, looking up. Khan el Khalili Bazaar is a microcosm of Cairo as a whole. It’s frenetic, loud, busy, bustling, and pulsing with energy day and night. 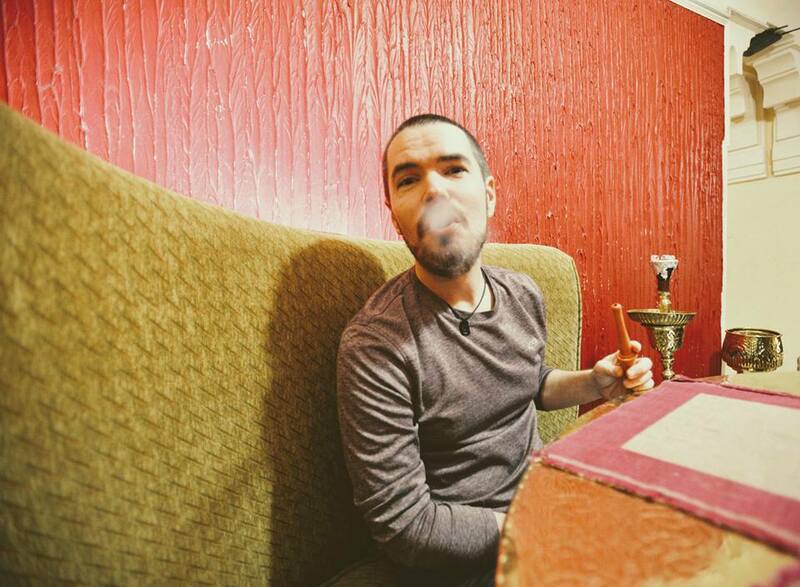 Once you’ve had your fill of Africa’s largest and oldest souk, duck into Naguib Mahfouz Cafe for coffee and a bit of shisha. It’s another iconic experience for visitors to Egypt as a whole and Cairo in particular. 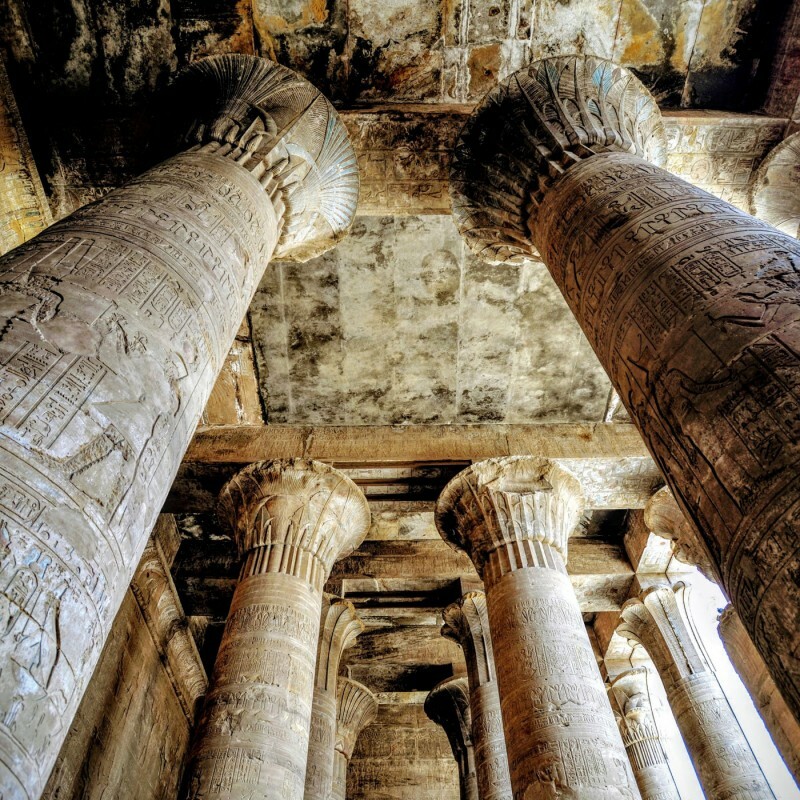 There are no “hidden gems” in the world of Egypt’s temples. They’re pretty much all squarely on the beaten path. But some, like Edfu, are slightly lesser-known but every bit as beautiful as, say, Luxor. The entrance to the Temple of Horus at Edfu is just massive. For a sense of scale, the two tiny, barely visible dots near the base of the entrance are people. The scale of Ancient Egyptian architecture is almost literally unimaginable. 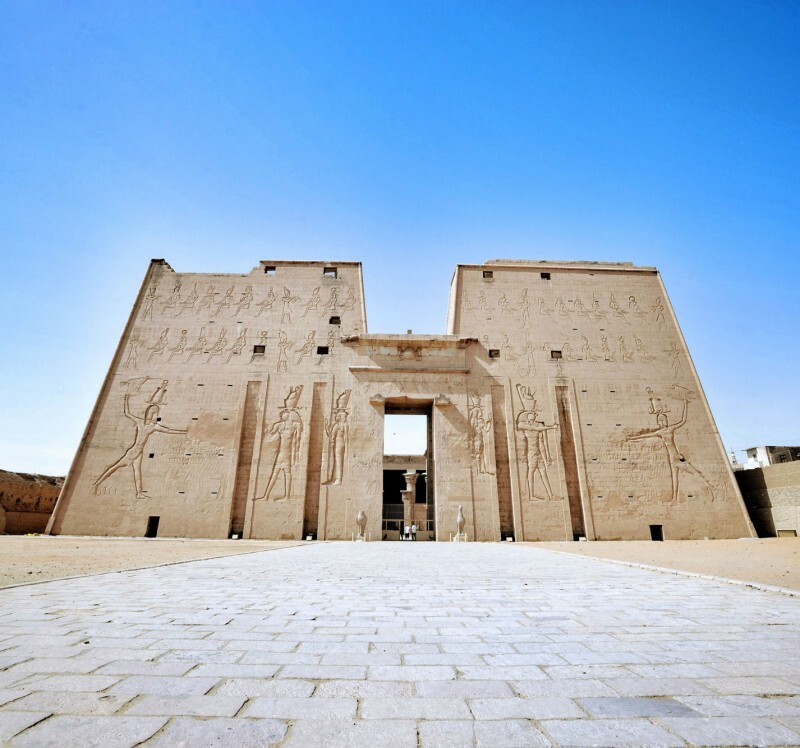 The Temple of Edfu took more than 100 years to build and remains one of the best preserved relics of its kind. Before the desert stripped the walls and columns bare, the entire structure was painted in brilliant blues, reds, and whites (look closely at this photo and you can still see traces of color left near the ceiling). Luxor (the modern city and the temple) are among Egypt’s top five destinations, particular for new travelers. Allow for at least a day or two explore the modern city of Luxor proper, the Valley of the Kings, Luxor temple, and the massive Karnak Temple Complex. 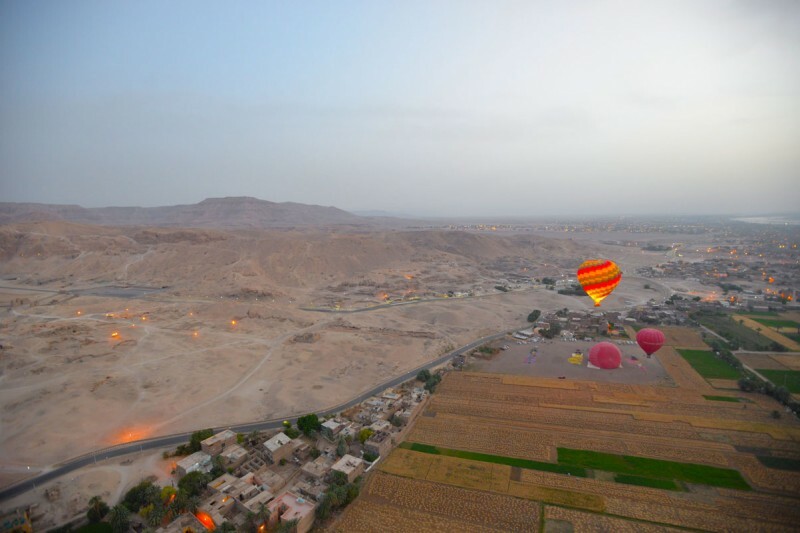 We awoke at an ungodly hour to arrive in time for a sunrise hot air balloon ride over the West Bank of the Nile and the Valley of the Kings. It’s one of the most iconic experiences for travelers to Egypt and worth every hour of missed sleep. After our hot air balloon touched down near Egypt’s Valley of the Kings, we paid a short visit to the imposing Colossi of Memnon. 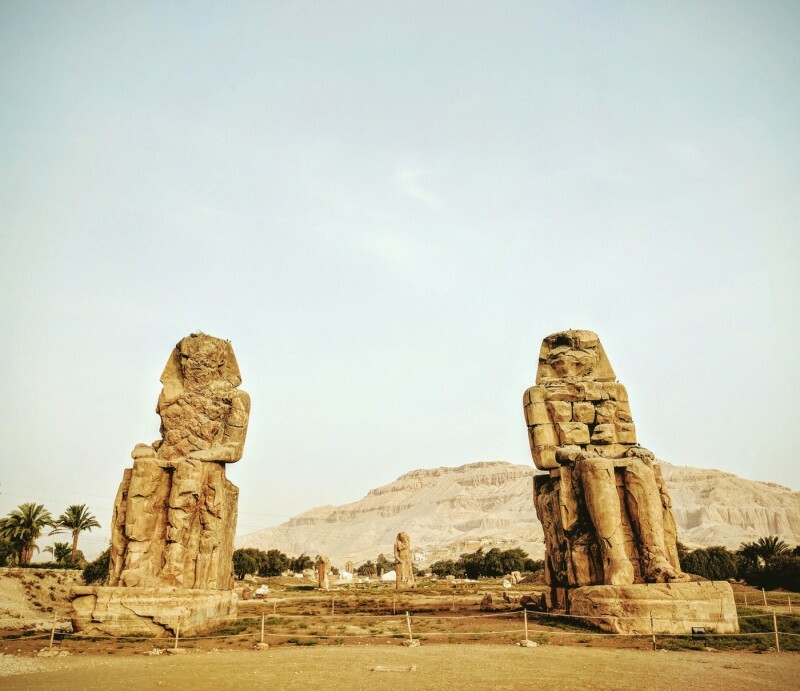 These two massive statues of Pharoah Amenhotep III are part of the few remnants of the original Theban Necropolis near modern day Luxor. It’s almost impossible to pick a favorite temple or site in Egypt. 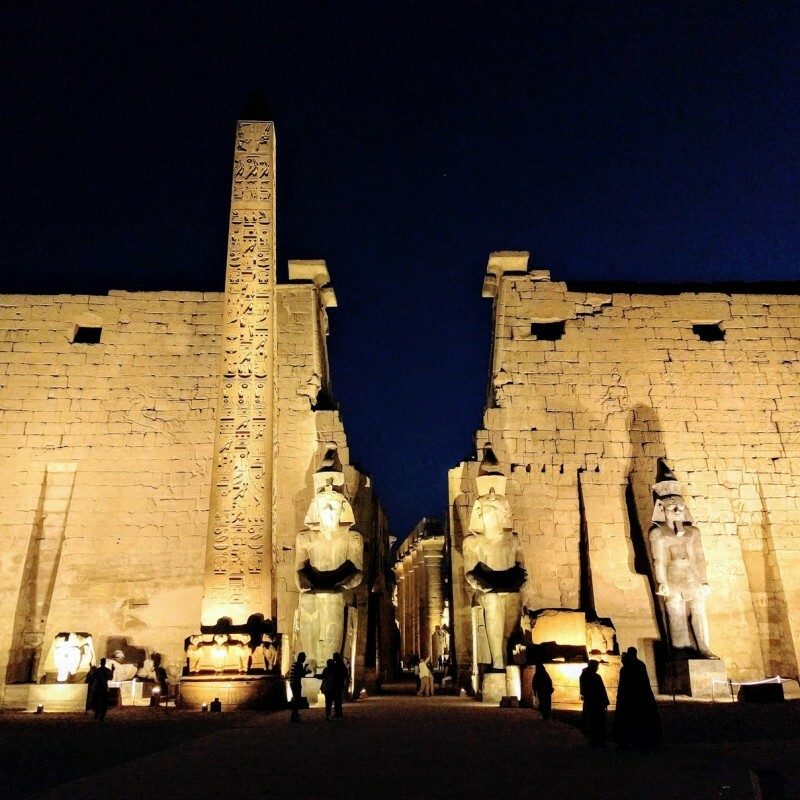 But, Luxor Temple is right near the top of our list. All lit-up at night, it’s just beautiful! 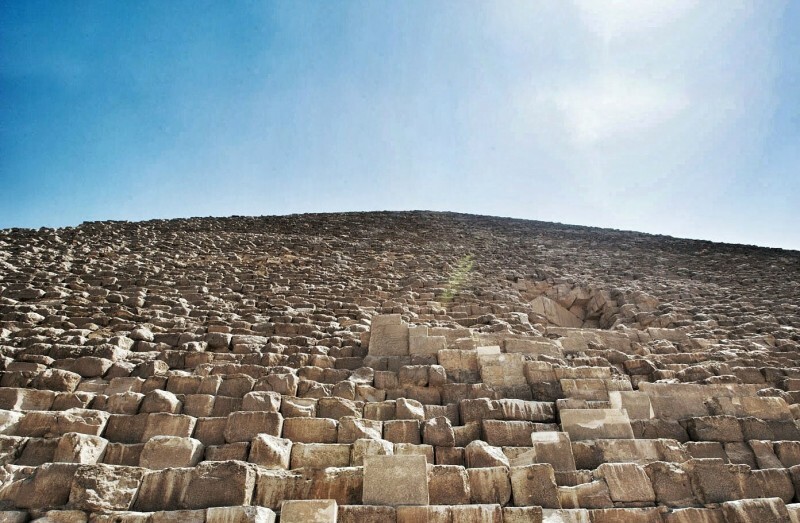 Egypt’s pyramids may get all of the love in travel guides and history books. But, Abu Simbel was the “big get” for us. It’s a long, three-hour trek each way through the desert but it did not disappoint. 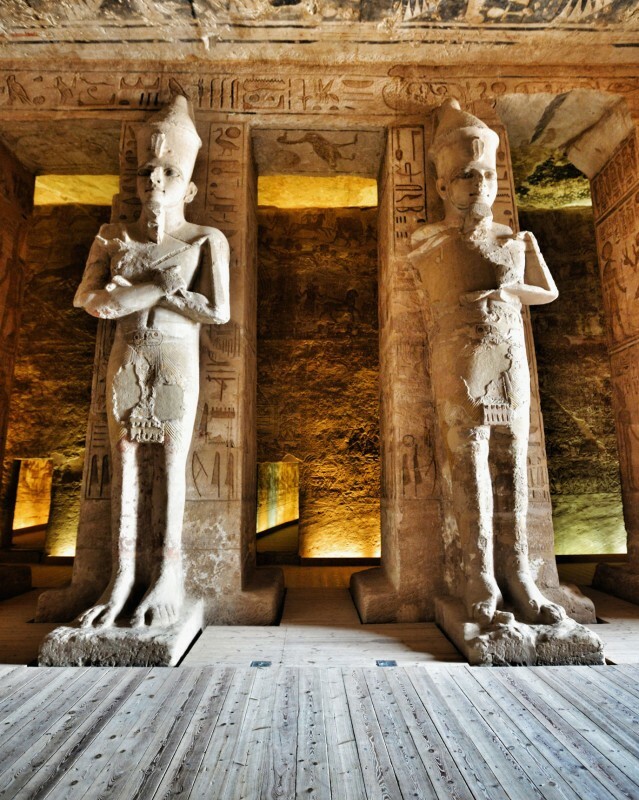 … and the view inside Abu Simbel is every bit as amazing too! 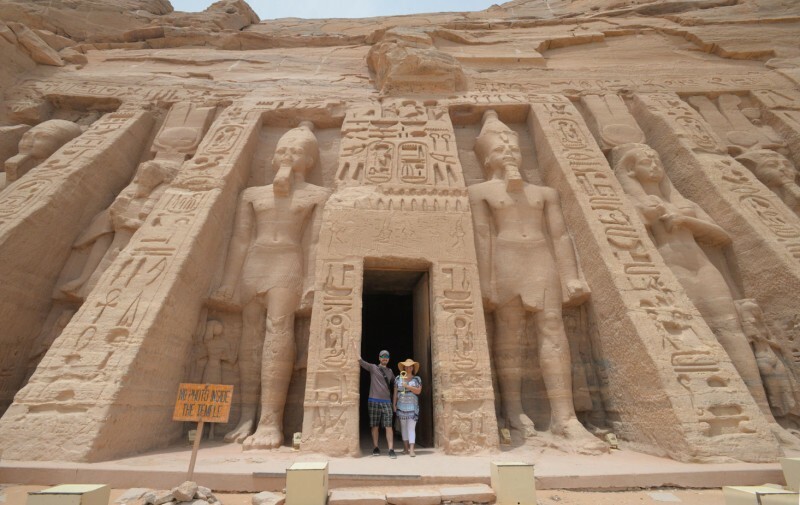 They pretty much don’t let tourists leave without having their photo snapped holding the Key of Life at Abu Simbel. So we did! Many of the towns and cities in Egypt exist as virtual “islands” amid a sprawling desert landscape. The borders of civilization are often clearly defined, giving way to a seemingly endless expanse of sand. Turning off the road to Hurghada, we discovered just how quickly you can find yourself “in the middle” of nowhere. 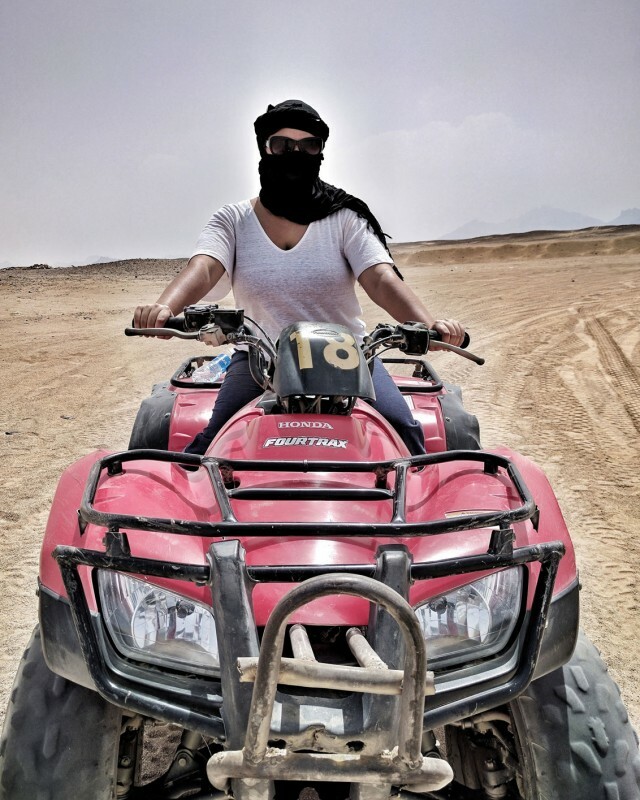 An ATV ride in the desert is almost obligatory for travelers to Hurghada. 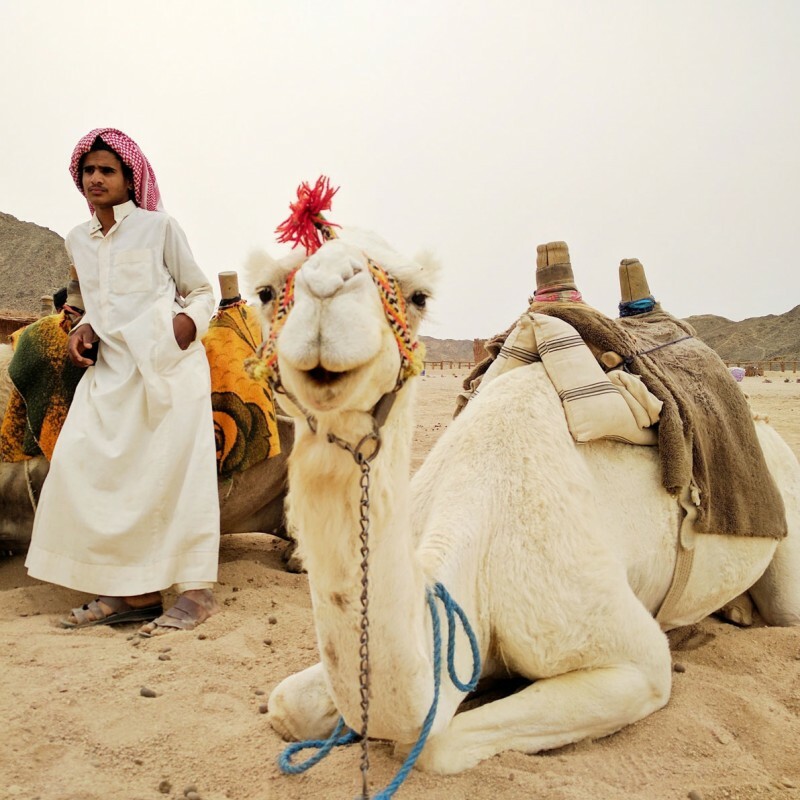 The town is well-known for its seaside resorts, but the sands on the outskirts are also a playground for adventurous travelers looking to explore on foot, by camel, or via ATV. We found this rather happy looking camel chilling with the Bedouins in the desert outside Hurghada. If we didn’t know better, we’d think he was smiling! 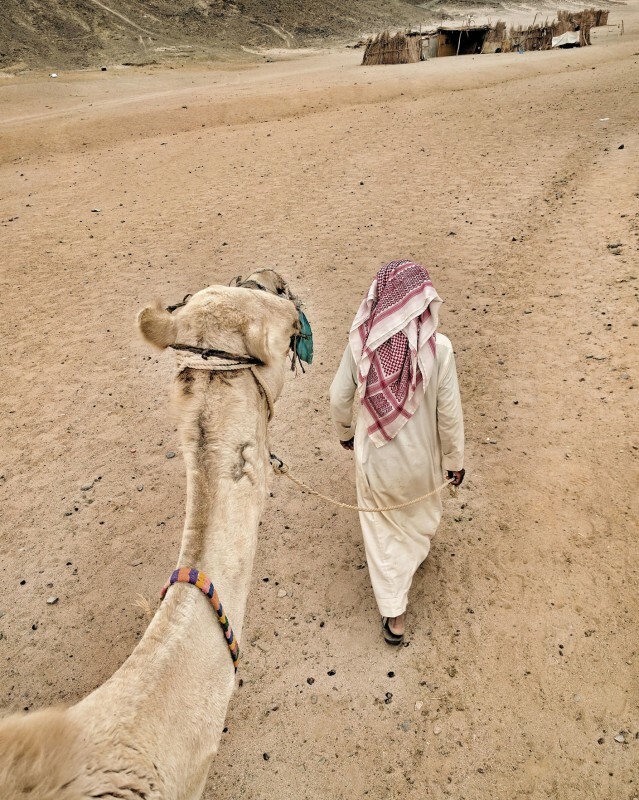 In addition to feeding us, the Bedouins were kind enough to take us on a camel ride in the desert. Again, it’s practically an obligatory experience for visitors to Egypt. 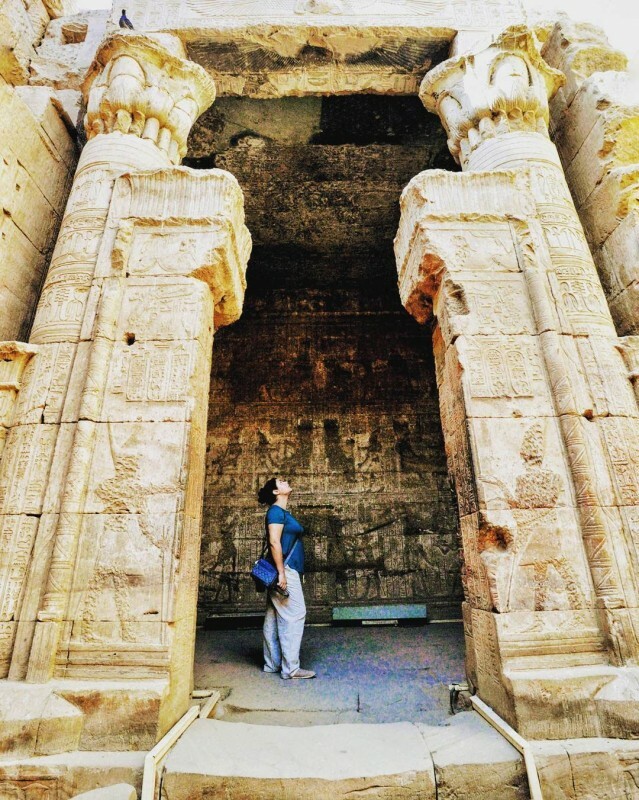 To see all this, including the most amazing highlights of Egypt, check out a package tour of Egypt from Lady Egypt Tours! Disclosure: Vagabondish received complimentary travel to and within Egypt from Lady Egypt Tours in advance of this post. Read our view on sponsored content.